Rugby Academy of America Senior Advisors are consultants engaged by Rugby Academy of America and are not Rugby Academy of America employees. Rugby Academy of America provides this Website for your informational purposes only. Subject to these Terms, Rugby Academy of America grants you a non-exclusive, non-transferable, limited right to display this Website and download the material displayed on this Website (the “Materials”) solely to view general information regarding Rugby Academy of America ’s businesses. You agree to treat the information you obtain from the Website that requires a password or similar identification procedure as confidential. You agree not to reproduce, modify, make collections or compilations of, distribute, or publicly display the Website or the Materials. You must not transfer the Materials to any other person or entity. You must retain, on all copies of the Materials downloaded, all copyright and other proprietary notices contained in the Materials. You agree to abide by all additional restrictions displayed on the Website from time to time. Any unauthorized use of the Website or the Materials, misuse of passwords and/or any other information listed on the Website is prohibited. Except as expressly provided herein, Rugby Academy of America does not grant you any express or implied license or permission under any patents, trademarks, copyrights or trade secret information. You agree to access the Materials and this Website manually, by request, and not automatically, through the use of a “bot” or similar program, or by other means. You agree not to take any action, alone or with others, that would interfere with the operation of this Website, to alter this Website in any way, or to impede others’ access to and freedom to enjoy and use this Website as made available by Rugby Academy of America. Rugby Academy of America generally does not provide research or analyst reports or solicit or carry accounts for, or offer or sell securities products to, individual retail customers. The information and services provided on this Website are not provided to and may not be used by any person or entity in any jurisdiction where the provision or use thereof would be contrary to applicable laws, rules or regulations of any governmental authority or regulatory or self-regulatory organization or where Rugby Academy of America is not authorized to provide such information or services. “Rugby Academy of America” is the trade name for The Rugby Academy of America Inc. and its affiliates. All content included on this Website, such as graphics, logos, articles and other materials, is the property of Rugby Academy of America or others and is protected by copyright and other laws. All trademarks and logos displayed on this Website are the property of their respective owners, who may or may not be affiliated with Rugby Academy of America. Nothing on this Website shall be interpreted as granting any license or right to use any image, trade name, trademark, logo or service mark on the Website. Copying or downloading material from this Website does not transfer title to any material on this Website to you. You are prohibited from using any of Rugby Academy of America ’s marks for any commercial and/or infringing purpose, including but not limited to use as metatags on other pages or sites on the World Wide Web, without the written permission of Rugby Academy of America or such third party, which may own the marks. Anything transmitted to this Website by you becomes Rugby Academy of America ’s property and may be used by Rugby Academy of America for any lawful purpose. Rugby Academy of America reserves all rights with respect to copyright and trademark ownership of all Materials on this Website, and will enforce such rights to the full extent of the law. All right, title and interest in this Website and any content contained herein is the exclusive property of Rugby Academy of America, except as otherwise stated. Unless otherwise specified, this Website is for your personal and non-commercial use only and you may print, copy and download any information or portion of this Website for your personal use only. You may not modify, copy, distribute, transmit, display, perform, reproduce, publish, license, frame, create derivative works from, transfer, or otherwise use in any other way for commercial or public purposes in whole or in part any information, software, products or services obtained from this Website, except for the purposes expressly provided herein, without Rugby Academy of America ’s prior written approval. If you copy or download any information or software from this Website, you agree that you will not remove or obscure any copyright, trademark or other notices or legends contained in any such information. The information, products and services on this Website are provided on an “as is” basis. Rugby Academy of America does not warrant the information or services provided herein or your use of this Website generally, either expressly or impliedly, for any particular purpose and expressly disclaims any implied warranties, including but not limited to, warranties of title, non-infringement, merchantability or fitness for a particular purpose. Rugby Academy of America will not be responsible for any loss or damage that could result from interception by third parties of any information or services made available to you via this Website. Although the information provided to you on this Website is obtained or compiled from sources we believe to be reliable, Rugby Academy of America cannot and does not guarantee the accuracy, validity, timeliness or completeness of any information or data made available to you for any particular purpose. Rugby Academy of America disclaims any duty to update this Website. None of Rugby Academy of America or any of its directors, officers, partners, members, employees, agents, affiliates, subsidiaries or third party vendors (collectively, the “Released Parties”) will be liable or have any responsibility of any kind for any loss or damage that you incur in the event of any failure or interruption of this Website, or resulting from the act or omission of any other party involved in making this Website, the data contained herein or the products or services offered on this Website available to you, or from any other cause relating to your access to, inability to access, or use of the Website or the Materials, whether or not the circumstances giving rise to such cause may have been within the control of the Released Parties. In no event will the Released Parties be liable to you, whether in contract or tort, for any direct, special, indirect, consequential or incidental damages or any other damages of any kind even if the Released Parties have been advised of the possibility thereof. This limitation on liability includes, but is not limited to, the transmission of any viruses which may infect a user’s equipment, failure of mechanical or electronic equipment or communication lines, telephone or other interconnect problems (e.g., you cannot access your internet service provider), unauthorized access, theft, operator errors, strikes or other labor problems or any force majeure. Rugby Academy of America cannot and does not guarantee continuous, uninterrupted or secure access to the Website. NONE OF THE RELEASED PARTIES ARE LIABLE FOR ANY DIRECT, INDIRECT, SPECIAL, CONSEQUENTIAL LOSS, LIABILITY, COST, CLAIM, EXPENSE OR DAMAGES OF ANY KIND (INCLUDING, WITHOUT LIMITATION, ANY LOST PROFITS, BUSINESS INTERRUPTION, LOSS OF INFORMATION OR PROGRAMS OR OTHER DATA ON YOUR INFORMATION HANDLING SYSTEM) WHETHER IN CONTRACT OR IN TORT (INCLUDING NEGLIGENCE), THAT ARE RELATED TO THE ACCURACY, INACCURACY, USE OF, OR THE INABILITY TO USE, THE CONTENT, MATERIALS AND FUNCTIONS, OR IN CONNECTION WITH ANY FAILURE OF PERFORMANCE, ERROR, OMISSION, INTERRUPTION, DEFECT, DELAY IN OPERATION OR TRANSMISSION, COMPUTER VIRUS OR LINE OR SYSTEM FAILURE, OF THIS WEBSITE OR ANY LINKED WEBSITE, EVEN IF RUGBY ACADEMY OF AMERICA IS EXPRESSLY ADVISED OF THE POSSIBILITY OF SUCH DAMAGES. Rugby Academy of America shall have no liability for third party content or websites linking to or framing this Website. All links to this Website must be approved in writing by Rugby Academy of America. Rugby Academy of America reserves the right to revoke any such consent to link at any time. Do not send any confidential or proprietary information to Rugby Academy of America via the Website. No information or materials that you provide to Rugby Academy of America via this Website will be considered or treated as confidential or proprietary. By providing any such information or materials to Rugby Academy of America, you grant to Rugby Academy of America an unrestricted, irrevocable, worldwide, royalty-free, non-exclusive license to use, reproduce, modify, publicly display, publicly perform, transmit and distribute such information and materials, and you further agree that Rugby Academy of America is free to use any ideas, concepts or know-how that you or individuals acting on your behalf provide to Rugby Academy of America . You agree not to use the Website to distribute, email or post any advertising, promotion or solicitation without Rugby Academy of America ’s prior approval. You agree not to use the Website to upload, display or distribute any materials that are defamatory, threatening, obscene, harassing, or otherwise unlawful, or that incorporate the copyrighted, confidential or proprietary material of any other person or entity. Rugby Academy of America reserves the right, at its sole discretion, to grant or revoke authority to use this Website or to change, add, suspend or remove the information, products or services described in the Website or the Materials at any time without prior notice to you and without any liability to you. Rugby Academy of America may also impose limits on certain features and services or restrict your access to parts or all of this Website without notice or liability. Rugby Academy of America may terminate the authorization, rights and license given above and, upon such termination, you shall immediately cease using and destroy all Materials. This Website is not intended for use by any person or entity that is a citizen or resident of or located in any jurisdiction where such distribution, publication, availability or use would be contrary to applicable law or regulation or which would subject Rugby Academy of America or its affiliates to any registration requirement within such jurisdiction. Rugby Academy of America makes no representation that the information available on this Website is appropriate or available for use in any jurisdiction. Prior to accessing the Website, users are required to ensure themselves whether the information available on this Website can be accessed and utilized in their respective jurisdictions and observe any relevant restrictions thereto. The user shall be solely responsible for compliance with all applicable laws and shall satisfy that they are not subject to any regulatory requirements which restrict or prohibit them from accessing or using the Website. The services and facilities have not been registered under any securities law of any foreign jurisdiction and are only for the information of any person in any jurisdiction where it may be lawful to offer such services and facilities. Rugby Academy of America will not undertake any requisite registration within any prohibited jurisdiction. This Website is governed by the laws of the State of Colorado, without giving effect to its conflict of law’s provisions. You agree that the state and federal courts of Fort Lauderdale, Florida shall have exclusive jurisdiction over any and all disputes arising from your use of the Website and/or the Materials. This page constitutes the entire agreement between Rugby Academy of America and you with respect to your use of this Website. You agree that regardless of any statute or law to the contrary, any claim or cause of action arising out of or related to your use of this Website must be commenced within one (1) year after the claim or cause of action arises. If for any reason a court of competent jurisdiction finds any provision of this page or portion thereof to be unenforceable, that provision shall be enforced to the maximum extent permissible so as to affect the intent of the provision, and the remainder of this page shall continue in full force and effect. Rugby Academy of America is committed to providing the highest quality services to its clients. To achieve this, anyone working for or on behalf of Rugby Academy of America (including staff members, vendors, agents, suppliers or service providers) is expected to maintain the highest ethical standards, to conduct themselves with integrity and in a manner that excludes consideration of personal advantage and the interests of other clients. Rugby Academy of America does not tolerate bribery or corruption in any form. In the ordinary course of business, Rugby Academy of America collects, uses, and shares personal information pertaining to its partners, employees, clients, and others. Obtaining this information is important to our ability to conduct our operations and to deliver the highest level of service, but we also recognize that you expect us to treat this information appropriately. We may share your personal information with other companies we have hired to provide services for us. These companies – our vendors – are required to maintain the confidentiality of such information to the extent they receive it and to use your personal information only in the course of providing such services and only for the purposes that Rugby Academy of America has hired them. We use all reasonable efforts to maintain physical, electronic, and administrative safeguards to protect your personal information from unauthorized or inappropriate access, but we note that the Internet is not a secure medium. We restrict access to information about you to those Rugby Academy of America personnel who need to know the information to respond to your inquiry or request. Although Rugby Academy of America endeavors to take steps to provide a secure environment for users accessing the Website, due to the nature of the Internet, Rugby Academy of America cannot guarantee confidentiality or security of any personal and other information being provided. Rugby Academy of America makes no warranty whatsoever to you, express or implied, regarding the security of the Website, including with respect to the ability of unauthorized persons to intercept or access information transmitted by you through the Internet. Rugby Academy of America welcomes your e-mail correspondence. However, it is possible that information transmitted to Rugby Academy of America may be read or obtained by other parties. Messages sent over the Internet cannot be guaranteed to be completely secure or error-free as they are subject to possible interception, corruption, delay, loss or possible alteration. Rugby Academy of America is not responsible for them and will not be liable to you or anyone else for any damages or otherwise in connection with any messages sent by you to Rugby Academy of America or any message sent by Rugby Academy of America to you over the Internet. If you send e-mail (encrypted or not) to Rugby Academy of America over the Internet, you are accepting the associated risks, including lack of confidentiality. Further, despite all possible security measures that Rugby Academy of America may take to keep this Website free from hacking and other interference, this Website like any other website is not free from such risks. Rugby Academy of America disclaims all liability on account of any loss or damage that any user may suffer or incur on account of any alteration or manipulation of any data or information accessed or downloaded from this Website. 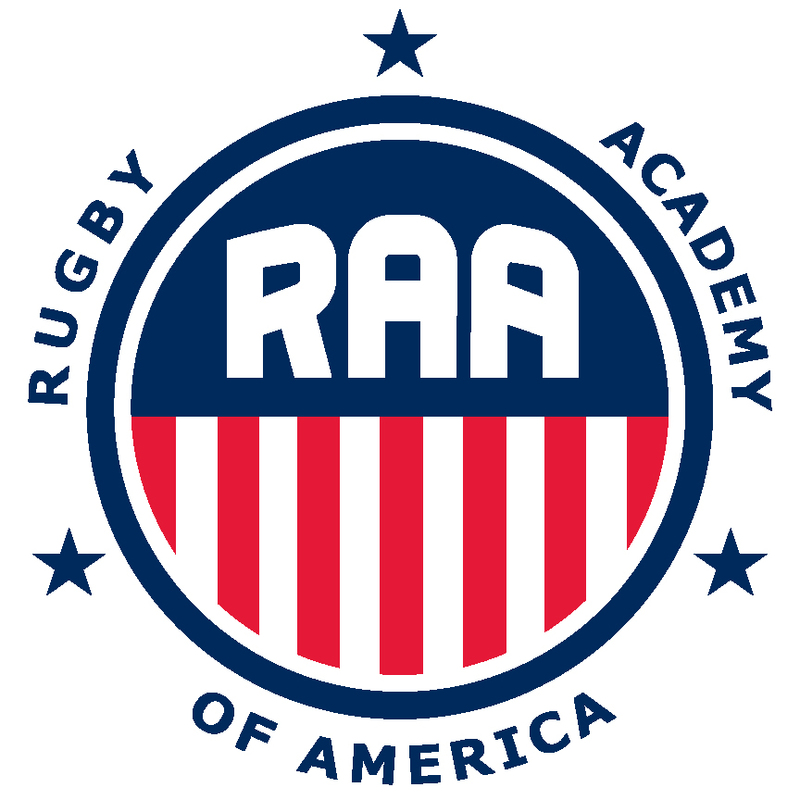 While Rugby Academy of America endeavors to take every reasonable precaution to ensure accuracy, security and confidentiality of information available through / on the Website, Rugby Academy of America cannot be held responsible for any consequence of any action(s) carried out by any authorized or unauthorized user. Rugby Academy of America has developed and implemented a Business Continuity Plan (BCP) designed to address and mitigate the potential consequences of a significant business disruption with a goal of recovering the key aspects of our business within twenty-four hours or less. Our BCP also is designed to safeguard employees and protect our books and records. We further believe that we have implemented reasonable and prudent measures to overcome or at least mitigate the consequences of an event that would otherwise interfere with the normal course of our business. However, because it is not possible to anticipate the nature, scope, impact and consequence of every possible business disruption, Rugby Academy of America does not represent or guaranty that it will be able to continue or resume business operations within any specified period of time under all circumstances. Our BCP is subject to periodic modification. A copy of the summary of our BCP is available upon request and as appropriate by writing The Rugby Academy of America Inc , 3773 Cherry Creek Drive North 575, Denver, Colorado 80209, Attn: Compliance Department or by sending a request by email to corporate@RugbyAcademyAmerica .com.